When an ex-spouse refuses to obey the terms of a divorce as set forth by the court, it can leave you frustrated and put your well being, and that of your children, at risk. Paying bills, providing for your children, and keeping up with their care is hard enough without having to worry about your ex-spouse neglecting their responsibilities involving visitation, alimony, or child support. When an ex-spouse is out of compliance with divorce enforcement orders, our Everett contempt motion attorneys can step in and help you address the issue in family court. With over 30 years of combined experience handling sensitive family law issues, our Everett contempt lawyers can help you and your family by petitioning the court on your behalf. Indeed, children often are the most affected by the negligence of a parent who ignores their court ordered responsibilities. As you move forward into a new life after a divorce, you want everything to progress without hassles or problems. However, when problems do arise you can get help filing a motion from our team of Everett divorce enforcement attorneys. Contempt of court is the term used to describe when a person ignores an order made by a judge. When an ex-spouse fails to obey an order and their actions negatively impact your life, an Everett divorce lawyer can help you address the act of negligence with the court. There are times when a person might have a valid reason for failing to comply with a judge’s order. If the excuses become commonplace and that party continues to violate the order, then our Everett contempt motion attorneys can step in and file for you. There are severe punishments for a contempt conviction, so your ex-spouse could be penalized with fines or even jail time. Also, they could be held liable for any fees you incurred during the process of filing for a contempt motion, including court costs and Everett divorce lawyer fees. Failure to pay child support is the most common variety of contempt. When a parent neglects to pay child support, you should act in the interests of your children by talking to one of our Everett divorce enforcement attorneys about filing a motion on your behalf. We urge all of our clients with potential family law issues to keep accurate and detailed records, so that when problems arise they are ready to share them with our Everett contempt motion attorneys. 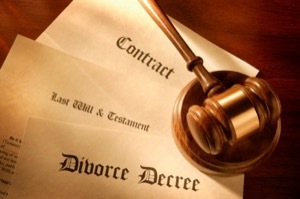 Don’t let the negligence of your ex-spouse cause undue hardship on you and your Everett family. Act now to resolve the situation by contacting one of our Everett divorce enforcement attorneys for a free case evaluation. This is the first step toward resolving the situation, and we will act quickly and decisively to have your problems addressed by the court. Contact us for a no-risk consultation today, and find out how a contempt motion could help you get what you need for your family.